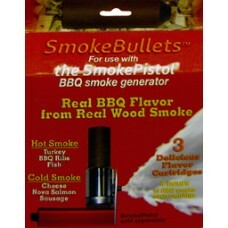 The SmokePistol BBQ smoke generator is great for hot smoking and cold smoking. Just light a cartridge, insert it into the SmokePistol and you have continous smoke for 4 - 5 hours on a single cartridge, Cartridges are available in 10 real wood flavors and are made of real wood with nothing else. 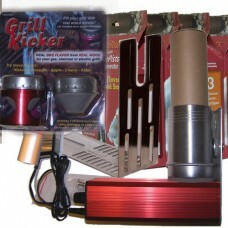 Quickly attaches to any BBQ grill or smoker. The smoke output is fully adjustable with an electronic control. Can even be hooked up to a cooler for cold smoking of fish, cheese, etc. The High Heat SmokePistol is different from the standard SmokePistol in that the smoke chamber is i.. 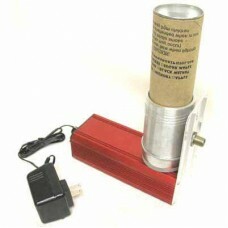 The SmokePistol BBQ smoke generator is great for hot smoking and cold smoking. Just light a cartrid..
Real wood cartridges for the SmokePistol smoke generator. 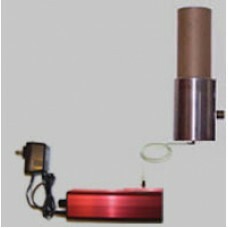 Generate smoke for 4 to 5 hours on a sing.. This will get you going in great shape and if you are not happy with it for any reason just return ..